Panathinaikos Athens is the 2001-02 Euroleague champion! The Euroleague has a new champion, and it is none other than Panathinaikos of Greece! The Greens triumphed 83-89 over Kinder Bologna on its own court in the Euroleague Final on Sunday in a thriller that should go down as one of the great title games in history. By coming back from 14 points down against Kinder at PalaMalaguti in Bologna, Panathinaikos has collected its third Euroleague title in seven years. 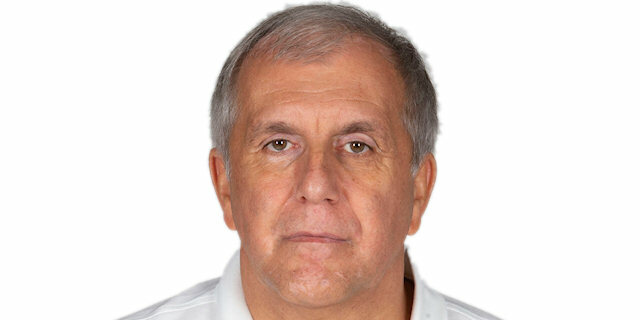 Head coach Zeljko Obradovic rose to the status of coaching legend, winning his fifth title with four different clubs in eight Final Four appearances over 11 years. After a Kinder second-quarter burst that gave rise to euphoria in the largely local crowd, Panathinaikos patiently worked its way back into the game. Center Lazaros Papadopoulos was the catalyst of the comeback, but in the second half veterans Dejan Bodiroga, Ibrahim Kutluay and Johnny Rogers took over. Kutluay finished with 22 points for the new champions, Bodiroga had 21 and Papadopoulos 12. Kinder, which gives up its title, was led by Emanuel Ginobili with 27 points and Matjaz Smodis with 13. Ginobili started the game in a state of grace, flitting like a butterfly through what was otherwise a crunching physical confrontation. Ginobili scored Kinder's first 8 points, opening the game with a three-pointer from the corner, then losing his defender on a beautiful move to the hoop, then popping again from behind the arc. Kinder led 8-4 then, but that's when the Panathinaikos veterans joined the fray. Bodiroga hit his first shot, practically the first time he was allowed to touch the ball, then Middleton worked the inside for a high shot over Griffith and 2 free throws out of 4. A steal by Fragiskos Alvertis led to a layup by Ibrahim Kutluay that forced the game's first tie, 12-12. Alvertis then drilled a three-pointer for the first Panathinaikos lead, 17-16, but yet another Kinder scorer, Antonio Granger, matched him. Back and forth it went. Kutluay finished another fastbreak, while Bodiroga and Alvertis made a pair of free throws each for Panathinaikos. But Granger got another bucket and Ginobili two more free throws. Alvertis did the only proper thing, making two free throws for a totally logical 23-23 tie after 10 minutes. No sooner did the second quarter start than the Kinder exploded. One, two, three shots went up from behind the arc, one by Antoine Rigaudeau and two by Matjaz Smodis. All three went down through the net: boom, boom, boom! The tone of the game changed in just two minutes. Kinder was up 32-23 and its defenders started to swarm. With a revolving door at the end of the bench, coach Ettore Messina sent wave after wave of players on the floor. Panathinaikos went almost 8 minutes with a single basket to show for its effort. Meanwhile, Smodis and Granger added four points each to their totals. The Kinder lead soared to 14 points, 45-31, before Panathinaikos could react. Kutluay followed a baseline jumper with his first three-pointer and like that, the lead was halved, to 45-38. Granger answered with Kinder's seventh three-pointer of the game, however, before the half finished with Kinder ahead 48-40. Smodis led his team with 13 points at the half, Emanuel Ginobili had 12 and Granger 10 off the bench. Dejan Bodiroga, quiet early, had 12 points for Panathinaikos, Fragiskos Alvertis and Kutluay 9 each. Kinder went for the kill to start the second half, with Smodis scoring on two spectacular inside plays to put the lead back into double digits at 52-42. Now, Panathinaikos was saved by an unlikely source, young center Lazaros Papadopoulos. He put back an offensive rebound, then added another basket, drawing Smodis's third foul. Kutluay banged in an open three. Then Papadopoulos drew Griffith's third foul and dunked a feed from Bodiroga. He finished his splurge, 8 points in an 2-11 Panathinaikos run, with two free throws. It was 52-51, a changed game. After Ginobili missed 1 of 2 free throws and Bodiroga drove for a lefty layup, Alvertis made a fallaway postup jumper to give Panathinaikos its first lead since the opening quarter, 53-55. Kinder's first-half shooting charm was gone now as several open threes missed. Bodiroga tried his hand from way outside, and it went through for a 55-58 Panathinaikos lead. Ginobili and Smodis responded for Kinder, but the quarter finished with it's main protagonist, Papadopoulos, drawing Griffith's fourth foul in the final second and sinking both free throws for a 61-64 Panathinaikos lead. The fourth quarter opened with David Andersen making a three-point play underneath and Smodis tying the game for Kinder at 66-66. Kutluay dropped a three-pointer off a screen for a 66-69 Panathinaikos lead, but Ginobili answered in kind, from the corner, to tie it 69-69 with just under 7 minutes left. Ginobili hit two free threows to give Kinder a brief lead at 71-69, but Papadopoulos tied it underneath and then Kinder started playing with fire, missing 5 of 6 free throws between Andersen, Jaric and Griffith. Meanwhile, Mulaomerovic drove for a layup, Johnny Rogers hit his first shot of the game, from three-point distance, and Middleton coolly made both of his free throws. It was 72-78, Panathinaikos ahead, with 3:30 left, and now Griffith got called for his fifth foul. After a Kinder timeout, Rogers made it 72-80 with a jumper in the lane, but Jaric drove for Kinder's first basket in over three minutes and then Ginobili sank two foul shots to cut the lead to 76-80. After two Bodiroga free throws, Jaric made two of his own and then Smodis drew Alvertis's fifth foul on a nice cut and feed from Sani Becirovic. Smodis sank his two free throws and it was 80-82 when Becirovic intercepted a pass and was fouled fastbreaking. But he missed both free throws with 1:09 to play. Bodiroga came downcourt, drove the lane and passed out to Kutluay, who faked Becirovic into the air before sinking the key shot from behind the arc. It was 85-80 with 45 seconds left and Kinder had to put Panathinaikos on the line. Kutluay missed 2 of 4 in the next 11 seconds, before Ginobili drew Bodiroga's fifth foul on a three-pointer. Ginobili made his three, but Kutluay added two more to make it 83-89, and Panathinaikos winner and champion of the 2001-02 Euroleague! "I'm terribly terribly sorry to all our supporters and players whose dream was to repeat last year's victory. It was a balanced game. In the first half we had the chance to break the game open but we made two or three defensive mistakes and they came within 8 points. We started the second half playing terrible defense amd without easy shots. We got nervous because the game started to be played in the half court, which is Panathinaikos' tactic. We lost our fluidity, and we missed 16 free throws because the ball started to be heavy. Another important key to Panathinaikos' victory was that they had many easy offensive rebounds because our centers were badly positionated." "The first thing I said to my assistant coach when I saw that we were winning was, 'I can't believe it!' At the beginning of this Final Four everybody said that all the other teams were stronger than us, and it was true. In the game we had many problems and in the second quarter especially with Kinder's offensive rebounds. But when we improved that aspect we played better offense. We also had a bit of good luck which is always important in these games. Let me tell you that it wasn't easy to beat Kinder at home, and they have a great coach in Messsina who has done impressive things this season and will continue to do so in the future." "After winning my first Final Four with Partizan in 1992, my master, Aco Nikolic, told me, 'This will be the first you will win of many.' And all I thought was this guy is crazy! I thought that that could not be repeated, but he was right. Nikolic is always right." "Here in Europe I feel great, in fact I don't like the United States. I have nothing against them, I woould just rather stay here. I think Dusan Ivkovic is the only one who is really ready to go there because everybody says so." "I also want to recognize a player who wasn't in the Final Four, Gannis Giannoulis, who also did a great job throughout the entire season and we cannot forget him. This title is for him also." "What can I say? It was a great game between the best two teams in Europe who have shown a lot of continuity over the last few years both in Europe and their national leagues. The first half was so-so, and in the second we improved and we believed in ourselves. We worked on our offense and made sure that Kutluay could score well." We also played a great game and we didn't let Kinder score. In a final like this the only thing you can do is try to fix things before it's too late and that's what we did when we were losing by 14, we adjusted our mistakes. In this kind of game you hardly ever look at the score and you just try to improve." "Four years ago I was also the MVP of the world championships but as I always say, the 12 players of the winning team are all MVP's because we played together from the first to the last game this season and I wouldn't be MVP without players like Alvertis, Rogers, and a great coach like Zelko. With all this I always try to give 100% and now I want to go for the Greek league. It surely was the most difficult Final Four because we beat two teams like Maccabi and Kinder who was playing at home." "I could have gone to the NBA six years ago but I wanted to stay here. In Europe there are many things to win and when you win, you get a lot of respect. After the Greek League, maybe I will think about going to the U.S., but I like the situation I'm in now." "I think that his results speak for themselves. Obradovic is surely the best coach in Europe and we've been together for 6 years."